Food colour additives have been the focus of much research in the last few years, and there is increasing consumer demand for natural and safer synthetic colours. This book reviews the natural and synthetic colours available, their properties and applications, as well as regulatory, sensory and analytical issues. 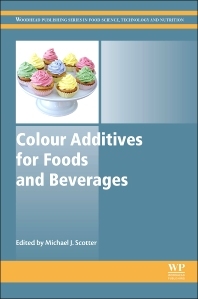 Part one covers the development and safety of food colour additives. Part two covers properties and methods of analysis, and part three focuses on specific food product applications and future trends.